Caring for someone with Alzheimer’s disease can be extremely challenging, yet also quite rewarding. While it’s vitally important to help maintain a sense of dignity and independence for your loved one with Alzheimer’s disease, sometimes it’s easy to overlook mealtime. 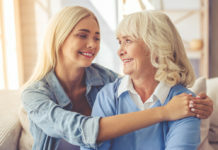 Some of the best ways to help make life a little smoother for both the caretaker and the patient is to narrow down choices to two, instead of too many, to help ensure that your loved one is not overwhelmed by too many choices. Establishing a routine schedule will help the day flow more smoothly, and reduce frustrations that arise with the unexpected. One of the ways to help alleviate the stress of choice is to have meals for the patient and the provider that are easy to assemble and serve each day. Options that are easy to prepare such as a deli sandwich or scrambled eggs are a great place to start, however most seniors need a bit more variety in their meals, especially when it comes to dinnertime. While some people are blessed with the talent and ability to create a delicious dinner every night of the week, most of us are not able to do that—or we just simply don’t have the time. A balanced, nutritious diet is the foundation of health for your senior who is suffering from Alzheimer’s disease. Eating well can ensure that the disease slows in progression, and that your senior’s mental state remains stable and balanced. 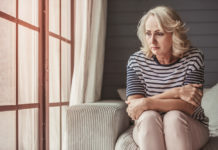 Sometimes dietary restrictions like low-sodium and reduced fat can be hard to adopt on a daily basis, making mealtime more stressful for the caregiver. It’s important to ensure that as a caregiver, you have a mealtime solution that provides convenience and peace of mind. Preparing meals for your loved one every single day can become quite taxing, especially if this is done in-home. Meal planning, followed by grocery shopping, meal preparation, and finally dinner-time and cleanup is quite involved, especially if you do this morning, midday and evening. One solution is to order food that can be easily served, such as Silver Cuisine. Silver cuisine is a meal delivery service which provides chef-prepared meals delivered right to your home. 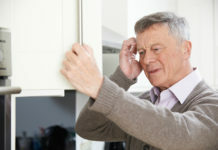 If your senior is able to use the kitchen safely, they can simply heat up their preferred meals at mealtime. 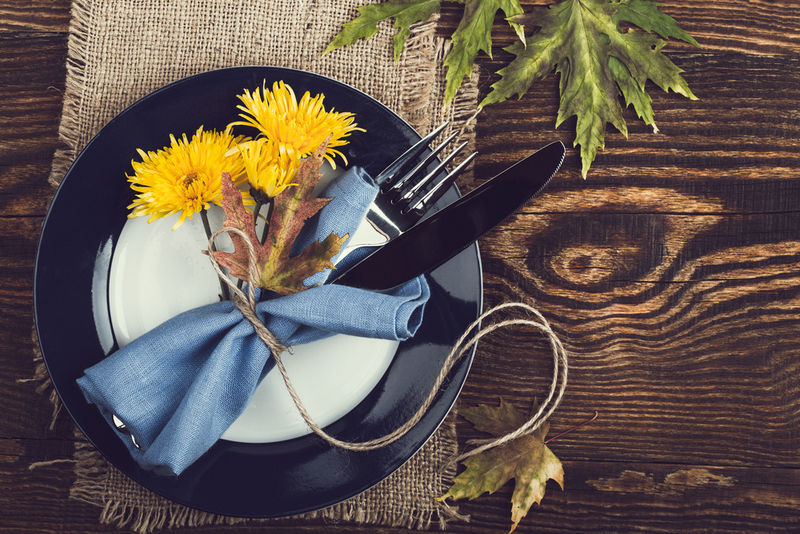 Delicious options like turkey with cranberry sauce and stuffing, or pot roast with green beans and mashed potatoes are comfort foods for any senior. If you want to take the guesswork out of meal planning and preparation, Silver Cuisine has the ability to do it all deliciously for you. Our meals are created by our founding physician, Dr. Caroline Cederquist, MD, and we plan the nutrition of every meal using the best ingredients. Using the most up-to-date dietary recommendations and medically based-science, our physician has tailored each meal to meet certain parameters and our chefs infuse delicious flavor profiles into each meal. Dr. Cederquist has devoted her life to helping her patients achieve maximum health and wellness, and designed Silver Cuisine meals specifically to make it easy to enjoy a hot, healthy, delicious meals each and every day. Following specific recommendations from our physician, our in-house chefs prepare and cook each and every meal with care, before chilling and packing the meals to deliver right to your door. Chill, and deliver to your door! Using the Silver Cuisine website, it’s easy to select meals based upon your senior’s dietary needs, and you can order as many meals as you like. There are no commitments or minimum orders, you just pick what you like and order as many as you prefer. The meals are delivered frozen to your doorstep, so you have the ability to stock your freezer with healthy, delicious foods that your senior loved one will enjoy day in and day out. You don’t have to give up great taste for convenience, and our meals are selected specifically with senior care and ease of enjoyment in mind. Using medically-based science, correct portion sizes, and most of all—paying special attention to providing exceptional taste, Silver Cuisine is an easy solution for caregivers and Alzheimer’s patients alike. Silver Cuisine is an a la carte meal provider, powered by the science of bistroMD. Everything that we do at bistroMD, from nutritional planning to quality meal prep is included, but without commitments or minimum orders, to make it easier than ever for seniors and caretakers alike to enjoy delicious, healthy meals.